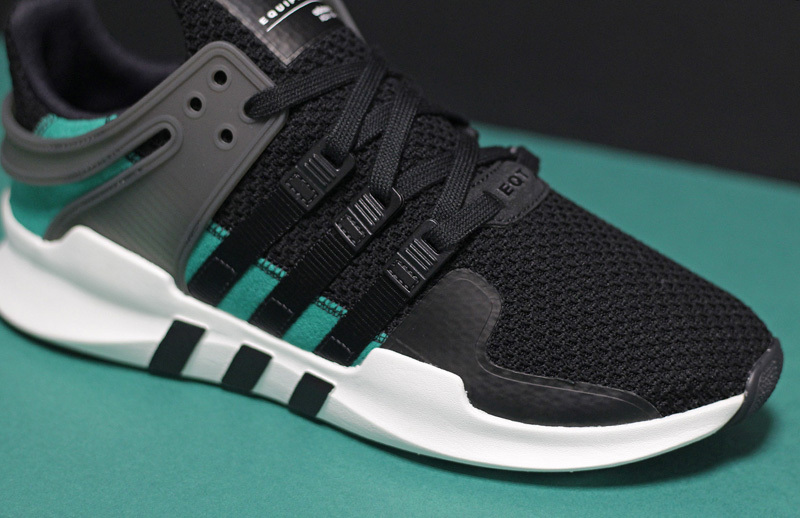 As the adidas Originals EQT series turns 25, the German sportswear powerhouse looks to celebrate with a sleek, modernised addition to the line up in the form of the EQT Support ADV ‘OG’. 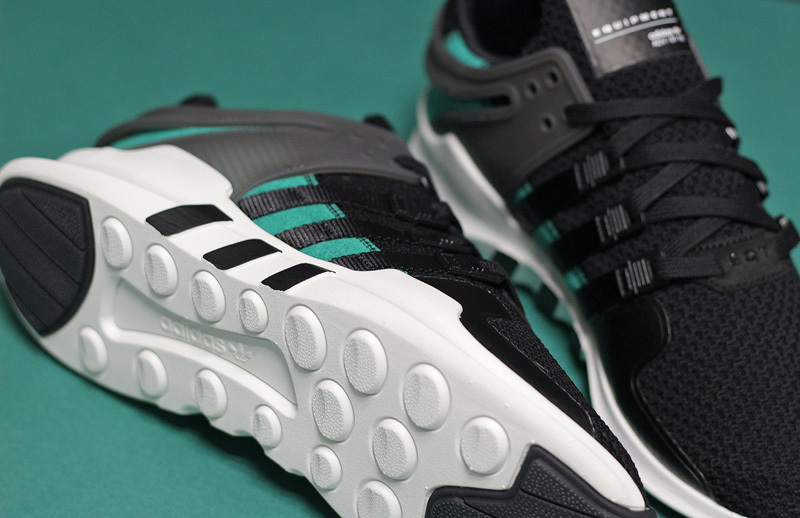 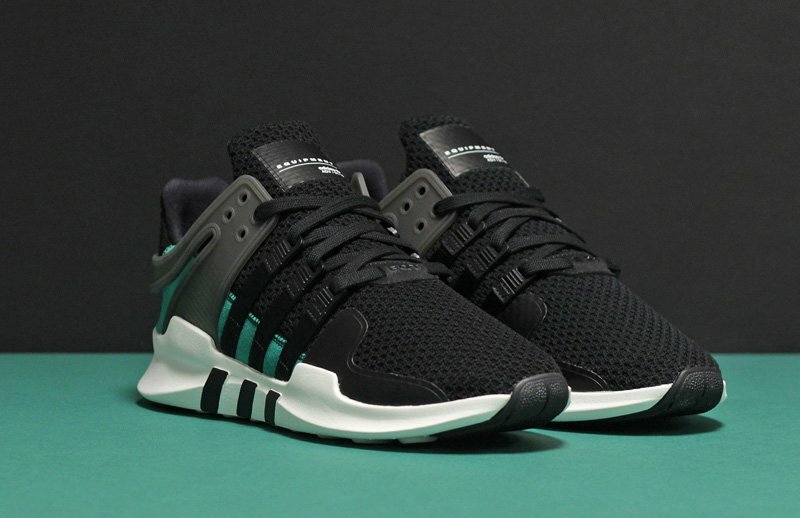 The EQT Support ADV ‘OG’ pays homage to its early 90’s predecessors, arriving in adidas’ classic “Sub Green” colour way, previously seen on the popular EQT Running Guidance ‘93. 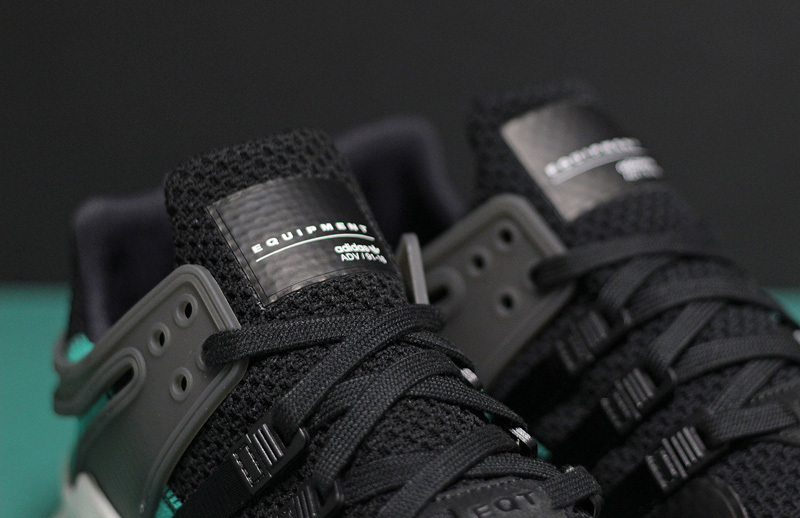 The shoe has been constructed from a lightweight Primeknit on the upper which is overlaid with synthetic materials on the back quarter, lacing & heel cage, continuing on to the mudguard. 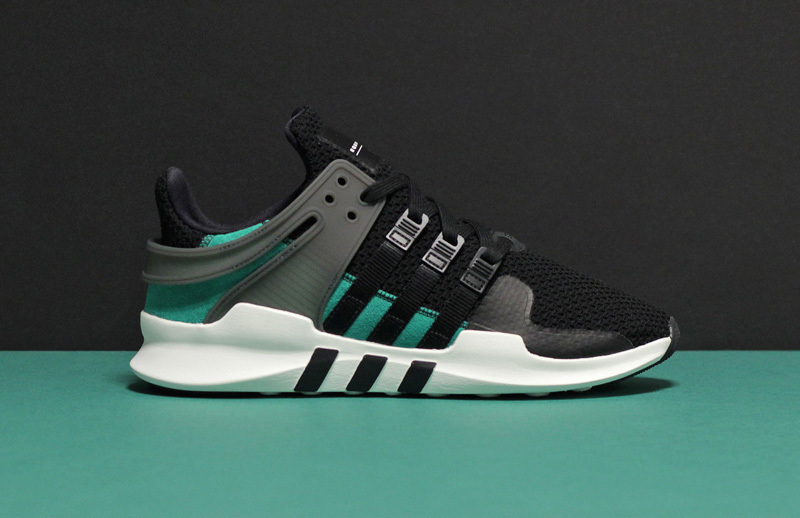 The iconic three stripe branding is cleverly worked in to the lacing system, as seen on other notable EQT silhouettes, and carries on through to the contrasting white rubber sole unit. 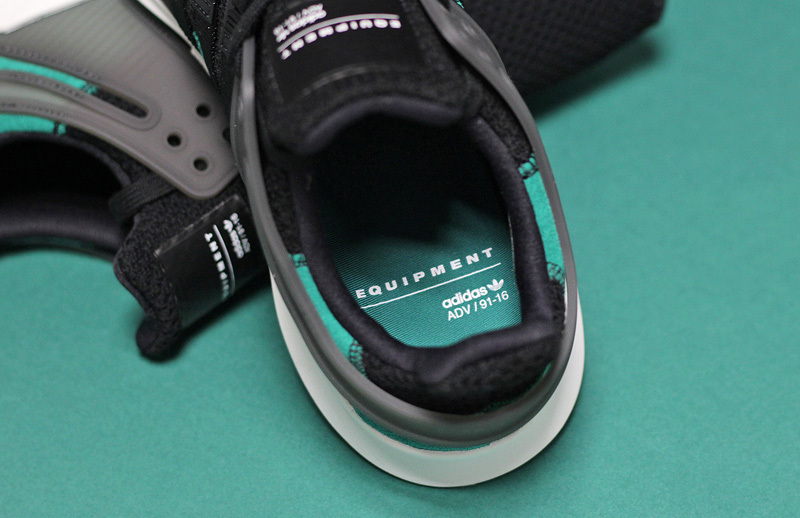 Tonal lacing and subtle adidas branding on the tongue keeps the premium feel of the innovative shoe.
. Be sure to keep an eye on our social media pages for regular updates on releases.